A medieval wine glass is a type of glass stemware that is used to drink and taste wine. The wine glass is composed of the bowl, stem and foot. We offer a selection of high quality pewter wine glasses in this section. One of the advantages of the pewter wine glasses is that they do not need regular polishing to maintain their gorgeous appearance, as pewter does not tarnish like silver. 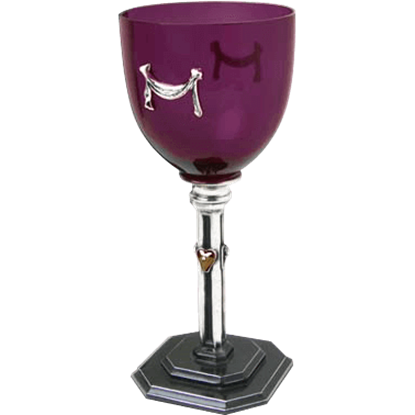 To keep your medieval wine glass bright and shiny, an occasional cleaning with a quality proprietary metal polish will keep it looking brilliant. These pewter wine glasses are made in Sheffield, England, crafted by master craftsman who are members of The Worshipful Company of Pewterers. We also carry medieval wine glasses, gothic wine glasses, wedding wine glasses, and toasting wine glasses in a variety of styles. Just as he was about to take a sip from his favorite stemless wine glass, he was taken prisoner and died still clutching the glass in his hand! Drink and delight in the brew of your choice with the Chained Skeleton Hand Wine Glass. Wine is not the only beverage that should be imbibed in style. 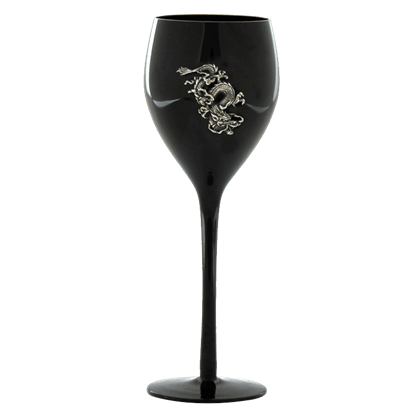 With this Chinese Dragon Wine Glass, you can drink your favorite beverages from an impressive cup that shows off an incredible level of style and appeal. Graceful, classical, and elegant, one can easily imagine the Desiree Wine Glass sitting on a candle-lit table, ready to receive wine and offer a toast to a romantic moment of well-deserved intimacy between two lovers. Blood red Swarovski crystals drip from the thorns of this menacing piece of glassware. 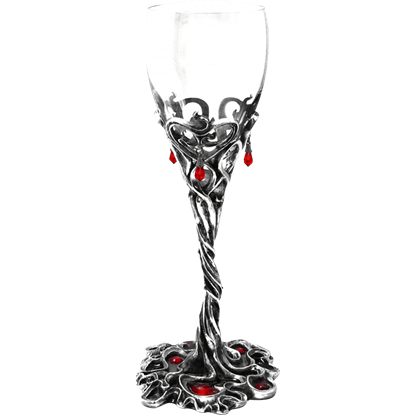 The Dracula Blood Drop Wine Glass features red enamel pooling around the base of the design, hinting at a dangerous encounter. Wine is not the only beverage that should be imbibed in style. 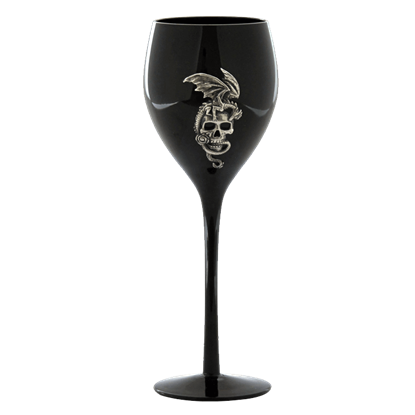 With this Dragon On Skull Wine Glass, you can drink your favorite beverages from an impressive cup that shows off an incredible level of style and appeal. Wine is not the only beverage that should be imbibed in fine style. 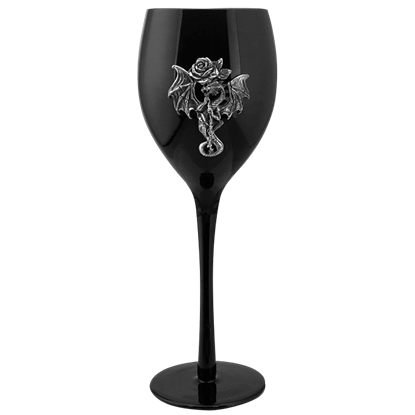 With this Dragon With Pentagram Wine Glass, you can drink any of your favorite beverages from a cup that really shows off incredible style and appeal. 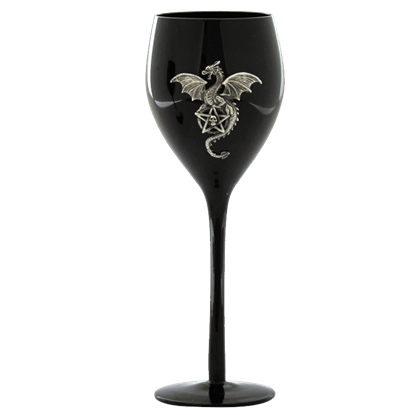 If you enjoy fine dining and elegant living, then the Dragon with Rose Wine Glass can be a great option for your collection. This stylish accent can be a fresh addition to your current kitchen set that balances gothic and fantasy tones. Wine is not the only beverage that should be imbibed in style. 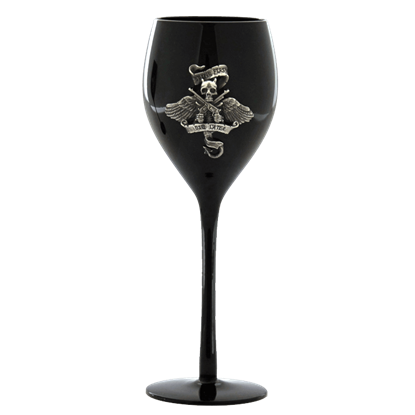 With this Drink First Die Later Wine Glass, you can drink your favorite beverages from an impressive cup that shows off an incredible level of style and appeal. Wine is not the only beverage that should be imbibed in style. 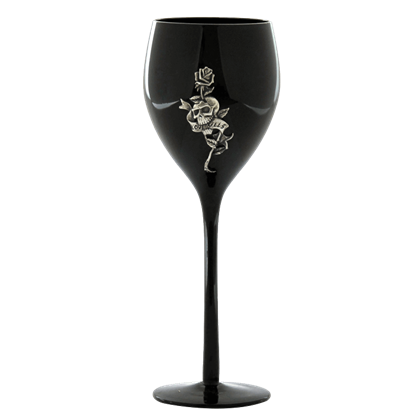 With this Love Kills Wine Glass, you can drink your favorite beverages from an impressive cup that shows off an incredible level of style and appeal. 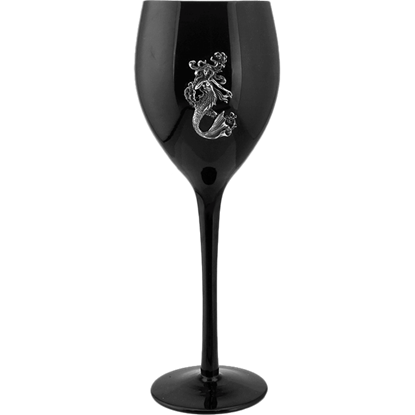 Take a chance and welcome the daring and stylish Mermaid Wine Glass into your homes current kitchen set. This dynamic accent glass can be a great way to freshen up a tired collection, so grab one while you can. Enjoy your favorite drink served up by one of the oceans most unique creatures! 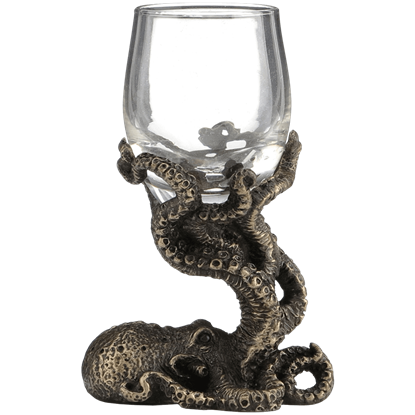 The Octopus Tasting Glass features a cast bronze construction with an antique look, making this glass perfect for nautical and steampunk shindigs. 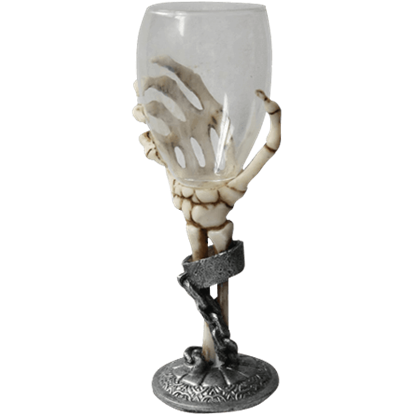 Make a toast that will have the dead rolling in their graves with the Skeleton Hand Dessert Wine Glass. 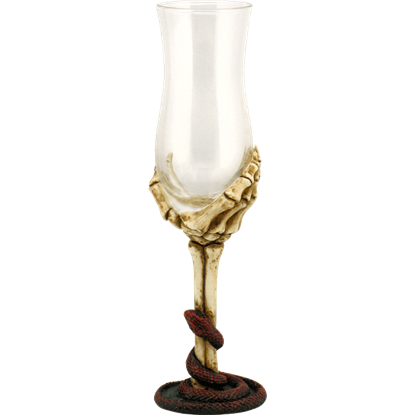 Crafted from polystone with a glass bowl, this drinking glass is perfect for a horror themed Halloween party.